LAUNDRY SERVICE (TOWELS AND SHEETS) INCLUDED IN OUR LUXURY PACKAGE! We know the drill. You need a reliable Airbnb cleaning service to clean your home and make it the best experience for your Airbnb tenants. Why not work with a cleaning company that has experience in Airbnb cleaning? You will get your own username and can log into our platform. From here you’ll be able to schedule all of your upcoming turnover cleanings, add notes, re-schedule cleanings, etc. Our cleaners (who all have experience in short-term rental cleaning) show up and clean your unit before your next guest arrives (usually between 11 AM – 3 PM). As much as possible we’ll try to send the same cleaners to your unit every time, so they know the best way to clean your unit. Visit our services page for more information about what included our Airbnb Maid Cleaning Nashville cleaning package. It’s just as easy to book on your smartphone or computer. Once you have completed your booking, you will be able to receive friendly reminders about your Airbnb cleaning service, request additional services, make payments, and provide feedback on your service, all on our convenience Android and iPhone App. We offer flat-rate pricing – no hidden fees, no surprises. 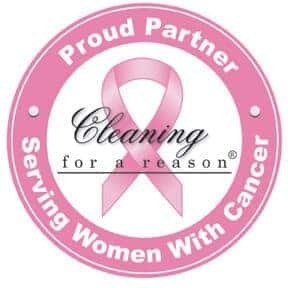 Our pricing includes the same cleaning quality of our standard home cleaning service plus additional benefits. If your unit has special circumstances or only need less of 3 cleanings per month, please contact us. If your unit is over 3,400 sq ft, please contact to get a custom quote for Airbnb homes of this size. To get an Airbnb cleaning, please Book Online and add your Airbnb information, we will contact you to give you our Airbnb discount code. Get more reviews as our customer Pearl! Pearl’s Place is idyllic. Beautifully and thoughtfully decorated, super clean, comfortable, and all the amenities you would need for an extended stay. Quiet neighborhood with a short walk to several Edgehill eateries and shops. Quick Uber-ride to The Gulch, downtown and SoBro areas. Pearl’s communication was always prompt, helpful, and courteous. We loved our stay and will definitely book again if in Nashville. Highly recommended! Pearl’s place is just amazing. It’s very clean, cute, spacious, and close to almost every popular place in the city. Pearl is a wonderful host! She’s super nice and helpful. We had a great time in Nashville. If we come to Nashville again, we will definitely choose Pearl’s place again! The apartment is extremely clean and beautifully decorated with oak floors, granite counters, and original artwork by local artists. The furnishings are attractive, well-made, and very comfortable. The space is private, yet it is bright and airy. The living room windows look out on the quiet neighborhood, and the bedroom windows afford a pleasant view of the large backyard.